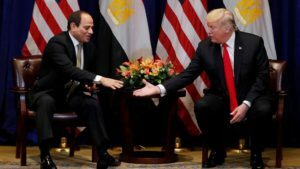 The United States will invest about $200 million in Egypt by the end of 2018, according to the Chief of the US Mission in Egypt. Thomas Goldberger made the statement at the US Chamber of Commerce conference in Cairo on the sidelines of a visit by a delegation of 44 US companies to the country. Goldberger also said small businesses and entrepreneurs will receive funding of some $30 million. Egypt’s trade and investment relationship with the United States deepened over the nearly forty years since Egypt signed a peace agreement with Israel. The United States is one of Egypt’s largest trade partners with a trade volume of $5.6 billion in 2017, ranking it sixth in the Middle East and first in Africa among US partners. Egypt exported $1.44 billion worth of non-petroleum goods to the US during the same period, 14.8% more than the previous year. According to Ecofin agency, in March 2018, direct US investments to Egypt totaled some $2.4 billion. The funds were injected in the sectors of services, construction, agriculture, industry and the information and community technology. It said these investments account for about 35.4 percent of the total direct US investment in Africa, thus making Egypt the largest recipient of US investments in Africa and the second largest in the Middle East. The International Monetary Fund (IMF) last month praised the North African country’s efforts and progress on economic reforms enabling it to receive a further $2 billion tranche of a three-year $12 billion loan agreed in 2016. The country is making progress with economic reforms and is “open for business,” the country’s minister of investment and international cooperation told reporters earlier this week. Written by: Jaber Ali on October 25, 2018. Posted by Jaber Ali on Oct 25 2018. Filed under Finance, Headlines. You can follow any responses to this entry through the RSS 2.0. Both comments and pings are currently closed.